Tottenham have hit the ground running under new boss Mauricio Pochettino with 3 wins in their opening 3 competitive fixtures. In the reverse fixture last week, Erik Lamela provided two crucial assists to ensure Spurs earned a narrow 2-1 victory over the Cypriots. The Argentine followed up his man of the match performance with another majestic display against QPR on Sunday and is finally starting to justify the £30 million Daniel Levy paid for him last summer. With a crunch tie against Liverpool on Sunday, I can’t see Pochettino risking too many first team regulars for this match but I am still confident Spurs will sail into the group stages with another victory at White Hart Lane. Real Sociedad hold a 1-0 aggregate lead going into the return leg but suffered a shock opening day defeat to Eibar at the weekend in La Liga. Russia is never an easy place to go to and manager Jagoba Arrasate knows an improved performance is a necessity if his side are to progress to the next stage of the competition. 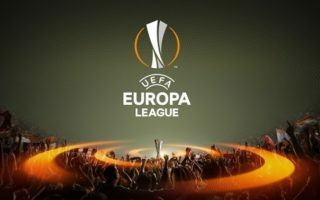 Krasnodar boast an impressive home record this season and I’m expecting a hard-fought battle on Thursday but I feel Real Sociedad will progress … Just! Hull struggled away in Lokeren, narrowly losing out to a determined performance by the belgian side. Bruce identified concentration as the key factor behind their first leg defeat, and he will definitely be aiming to instil confidence into his side as this tie is far from beyond their reach. Interestingly, I do believe it is a win-win situation as the curse of playing Thursday night football could be detrimental as they bid to remain competitive in the Premier League. Lokeren know what they have to do, an away goal could well send Lokeren into the next round so they will arrive in Yorkshire full of belief. Personally, I believe Hull will learn from their mistakes and produce a professional performance to see them through to the next round. Playing away in Europe, the primary target must be to return home with a positive result, and Torino have done just that. They were one of my favourite sides in Serie A last season and thoroughly deserve their spot within this competition. However, knockout games can be defined by one single moment of brilliance or one single error and Torino will need to be on top form to ensure progression into the next round. RNK Split will be somewhat encouraged as they know a score-draw will send them into the next round. The first goal in this game will be absolutely crucial, based on last season, Torino have the confidence to take this tie by storm and I expect them to come out flying against the Croatian outfit and secure a positive result.